A school of “blackfish” or pilot whales. Apparently the short-finned pilot whale, Globicephala macrorhynchus. P. 80. 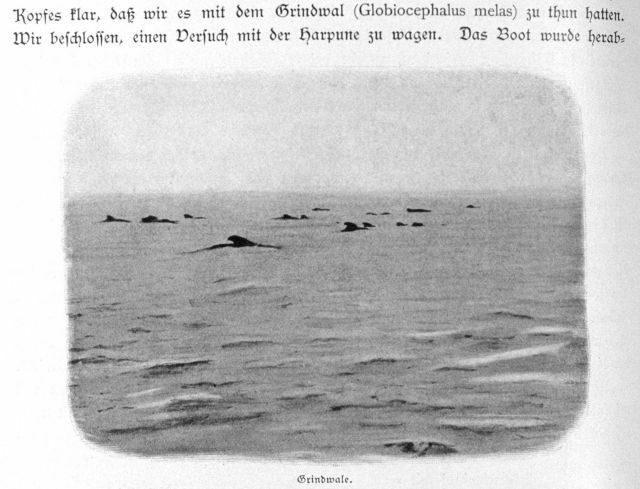 In: “Aus den Tiefen des Weltmeeres” by Carl Chun, 1903. Call No. Q115.V15 1903.